Micro Basil is quite similar to full sized basil, with a slightly stronger flavour profile, and a more diverse visual profile. 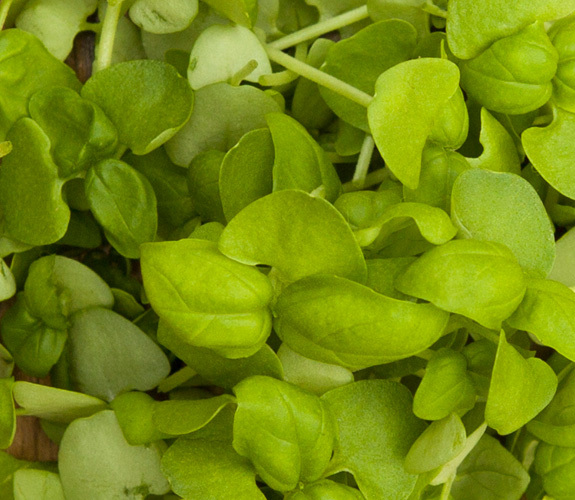 We commonly grow green micro basil, which is slightly sweet compared to that of Thai Basil, Lemon Basil or Holy Basil. Typically grown to 1″-1 1/2″, our micro basil is grown from certified micro greens seeds, in a completely natural and sterile environment. The greens look like a very tiny version of a typical basil plant, and are matured to the point where they have a single set of medium-sized cotyledon leaves, as well as one set of very small true leaves. The entire green is edible, and is more often than not used as an accent or garnish rather than an ingredient included in the cooking process, due to its fragile nature. Micro Basil tastes quite similar to full-sized Basil. The leaves have a texture identical to full-sized basil, and are strong and pungent with a mild anise flavour. It is often quite sweet and because it is harvested young it possesses a very light crunch. 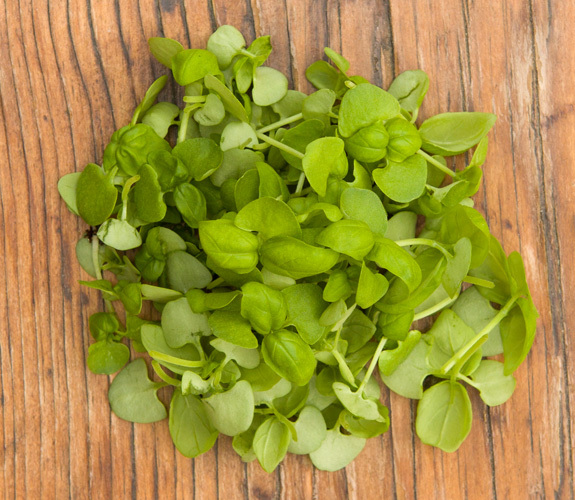 Micro Basil has a strong, pungent flavour that brings a welcome accent to light, mild flavours. 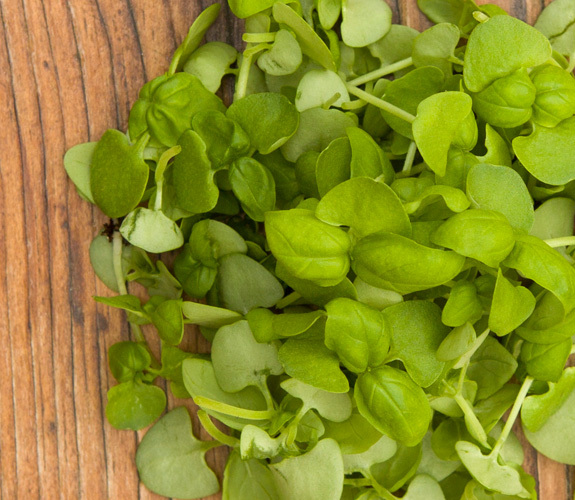 To see how you can integrate microgreens into your diet browse Our Recipes.